I am a popular financial blogger with 24 years of experience as a fee-for-service planner professional and 35 years as a tax accountant. I am considered on of the top 40 Money Influencers in Canada by Hardbacon. 2,500 unique viewers per month. #1 financial blog in Canada for a full service financial planner. 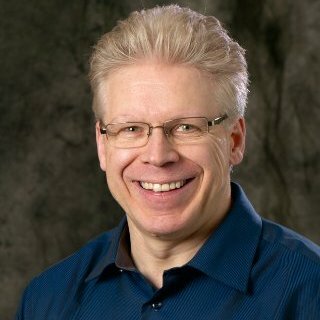 Awarded a Top 50 Personal Finance Blog by Feedspot! I am the only full-service professional financial planner on the list! Feedspot is the most comprehensive list of best Canadian Personal Finance blogs on the internet from thousands on they index. Recognized as one of the best “40 Money Influencers in Canada” by Hardbacon.ca . My blog is a unique voice on this list. I have a ton of real-life experience. A prolific writer, I am passionate about sharing my insights. Disillusioned with the “conventional wisdom” often espoused by financial planners and the media, I prefer financial strategies proven to provide results over time. I steadfastly dislike “financial quackery” – financial advice that’s really just a sales pitch – and “placebo advice” – bad advice meant to make you feel good. I often guest post for leading financial publications and websites, and have been interviewed for many articles. 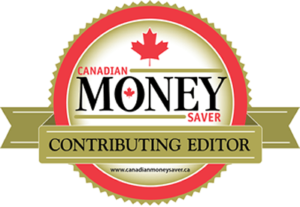 Canadian MoneySaver Thrilled by a full page “Writer Spotlight” in Canadian MoneySaver magazine! IdeaMensch Pleased to be featured on IdeaMensch! Brampton Guardian Building your retirement nest egg? Use your home equity. Canadian Mortgage Trends Did OSFI Kill the Smith Manoeuvre? Costco Connection Read My article in Costco Magazine – Money goals for 2018. Small steps to make a big difference. Globe and Mail Are you using your TFSA to its full potential? Insurance for Children.ca Should You Buy Life Insurance for Your Kid? Intuit Turbo Tax What’s Best? A TFSA or an RRSP? Money.ca What is The Cash Flow Dam? MoneySense Should you insure your child? National Post Should you insure your child? National Post Make your mortgage tax deductible. Homeowners shown how to put ‘bad’ debt to work. Wealth Professional Forget patriotism! Time to take clients outside Canada? Wealth Professional The Smith Manoeuvre: Sidelined or star? Yahoo! Finance Is a robo-advisor right for you? Young and Thrifty blog Is the Smith Manoeuvre Risky?